Indulge and delight with this smoothing, island treat. Sugar cane enzymes, rich in botanical exfoliants, lift impurities and smooth away dull, dry skin. 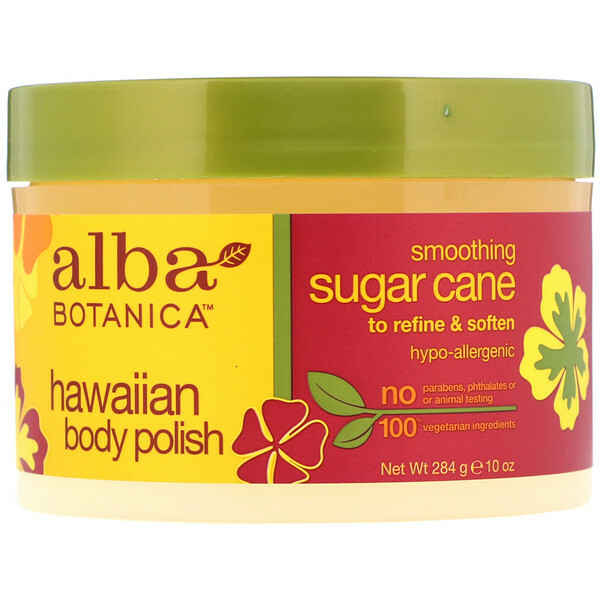 Sunflower Oil draws in moisture while emollient kukui and macadamia oils soften and smooth. Delish! Apply liberally in the shower or bath, using gentle circular motion. Avoid face and delicate areas. Rinse thoroughly. Helianthus annuus (sunflower) oil¹, sucrose, hydrated silica, aleurites moluccana seed oil, macadamia ternifolia seed oil, saccharum officinarum (sugar cane) extract¹, ascorbyl palmitate, tocopherol, tocopheryl acetate, polysorbate 80, benzyl benzoate, fragrance (parfum). No: Artificial colors, parabens, phthalates, or harsh sulfate.